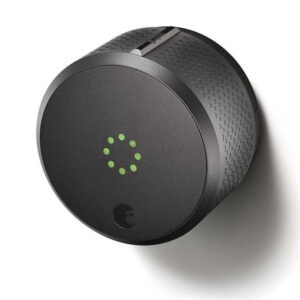 Kwikset Premis vs Schlage vs August - Which Smart Lock Wins? When you’re out of town and need to let your dog sitter into your house, how do you do it? Telling them your garage code or leaving a key under the doormat isn’t very secure. New smart door locks are great for assigning unique codes to see who is coming and going. 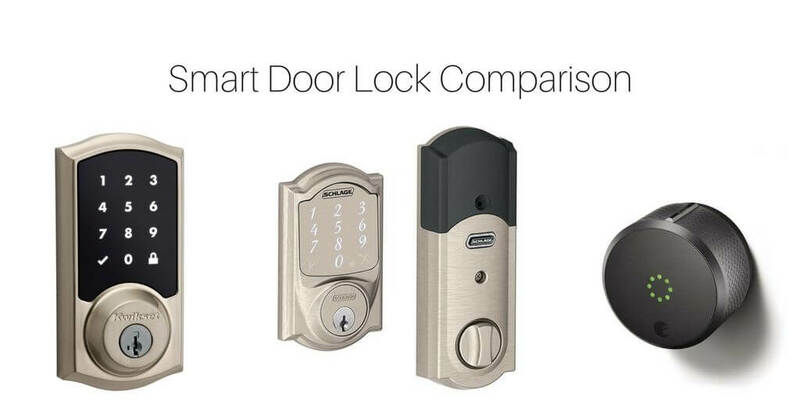 We are going to compare a few of the top smart door locks: Kwikset Premis vs Schlage vs August. Affiliate Disclosure: This page contains affiliate links, which earn us a commission from Amazon at no cost to you. All devices have powerful encryption thanks to their HomeKit compatibility. With Grade 1 Certification, Schlage Connect is the most secure lock of these three. Its additional security features make it the most trustworthy, although Kwikset Premis is a close 2nd place with its SecureScreen technology. 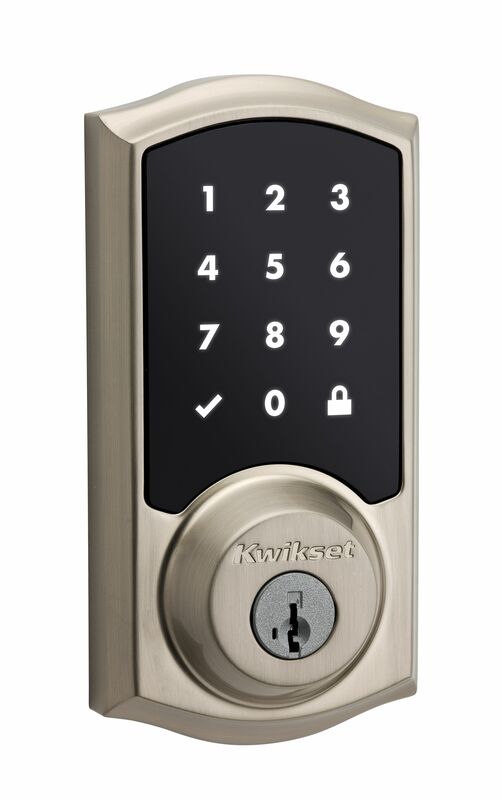 Schlage and Kwikset both have built-in keypads which make it really convenient to enter without a smartphone. Being locked out without your phone can be a real pain. Having a keypad always there can remove a lot of the headaches of a smart lock. Many August owners have the auto lock feature turned on, making it easy to get locked out because they stepped outside without their phone for too long. Whoops. Keypads are nice for avoiding this annoying mistake. All three locks allow you to create virtual keys for guest entry. If you don’t have Apple products and have SmartThings or Wink, check out the Kwikset 916 Z-Wave. Can’t have both Z-Wave and HomeKit compatible in the same device. This was a close match because each works remotely but has a few drawbacks. August isn’t tied to a specific platform but the August Connect is extra money. The Schlage and Kwikset can both connect to your existing smart home system but limit the options depending on which device you go with. All three devices have HomeKit compatibility, along with the following features. August continues adding more compatibility with other smart home devices than their competitors. IFTTT makes it possible for August to turn on your lights when you get home or turn off your GE oven when you leave. Schlage is compatible with multiple hubs, but they try to push the Nexia subscription which is slightly annoying. August still uses your existing deadbolt to open and close. It installs inside your home, with the outside of your home appearing like a standard door lock. This makes it very easy to install the August. Schlage and Kwikset Premis are also easy to install, but August still works with your existing physical keys. August also has its own doorbell cam which makes it easy to integrate a smart doorbell. Schlage’s ultra security features, keypad, and easy remote access options make it the overall winner. Its strong Amazon reviews are promising and most customers seem to be happy with it. This was a close match because August is also a very high-quality door lock and very compatible with other devices. Well, there you have it, the winner of Kwikset Premis vs Schlage vs August. Let us know in the comments below if there is anything we missed or any insights on these door locks. Very true, thanks for noting that. We edited to add these devices’ compatibility with August. Thank you! You’re kind of talking about Schlage Sense and Schlage Connect as 1 product, when they are 2 separate products, kind of biasing the article by lumping in only the pros of both combined. Thanks for bringing that up. 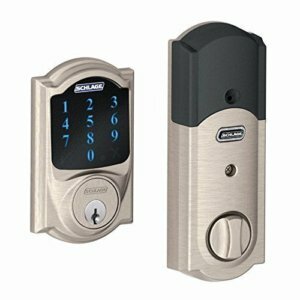 We have updated the comparison to just use the Schlage Connect. Get your FREE smart home guide! Put in your email to download the guide. Smart Home Solver is a participant in the Amazon Services LLC Associates Program, an affiliate advertising program designed to provide a means for sites to earn advertising fees by advertising and linking to Amazon.com. All data and information provided on this site is for informational purposes only.